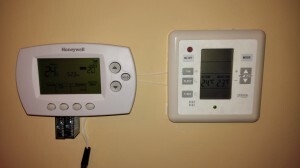 In this post we would like to show how to use an american thermostat to control air conditioning in our home. 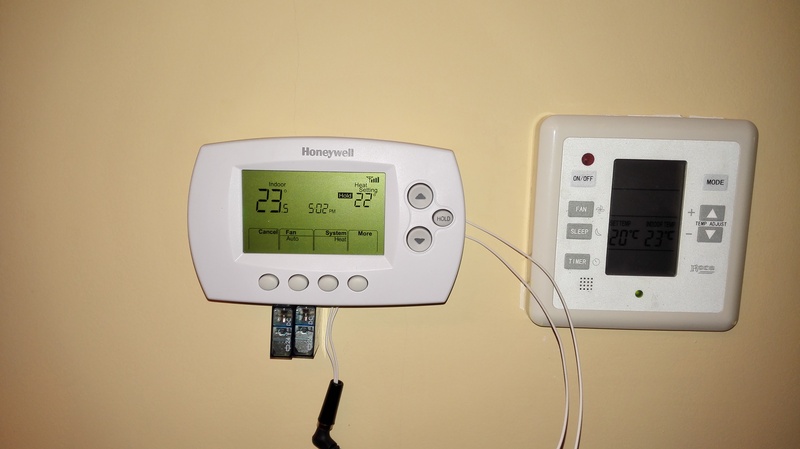 Why an american thermostat? The main advantage is we could control both heating and cooling from any place through internet from our computer or our mobile phone. In this case we will use the Honeywell RTH6580WF one which provide this functionality and it is not really expensive. 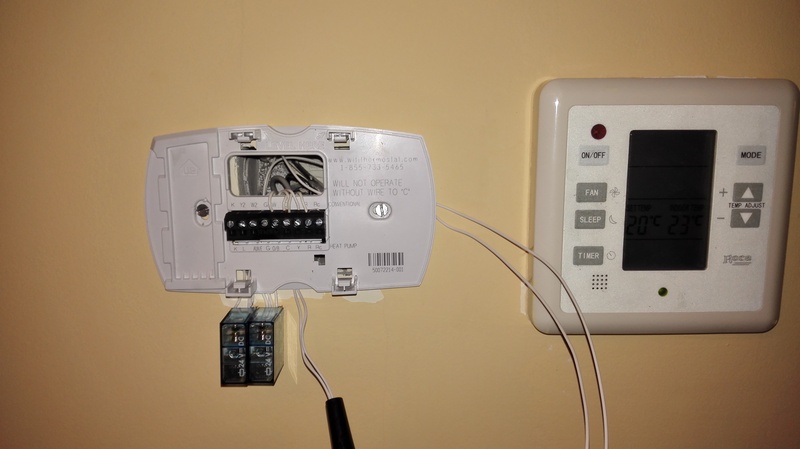 We are not starting from zero and there is a post in this blog for initial installation for controlling heating. 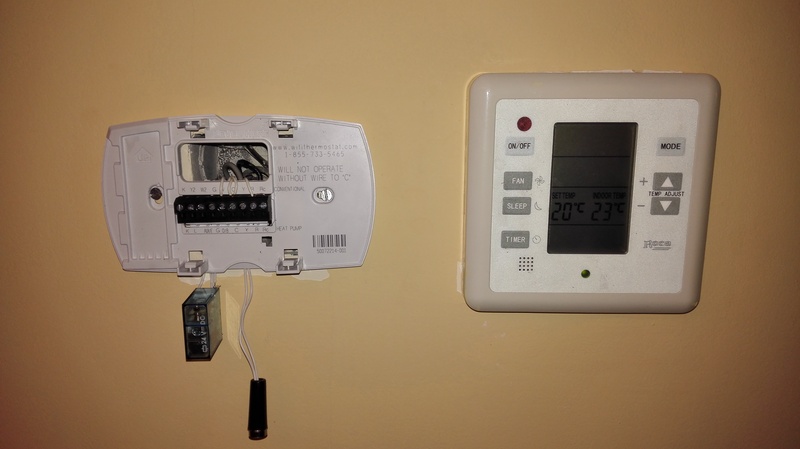 Objective of this post is to add air conditioning control with the same thermostat. 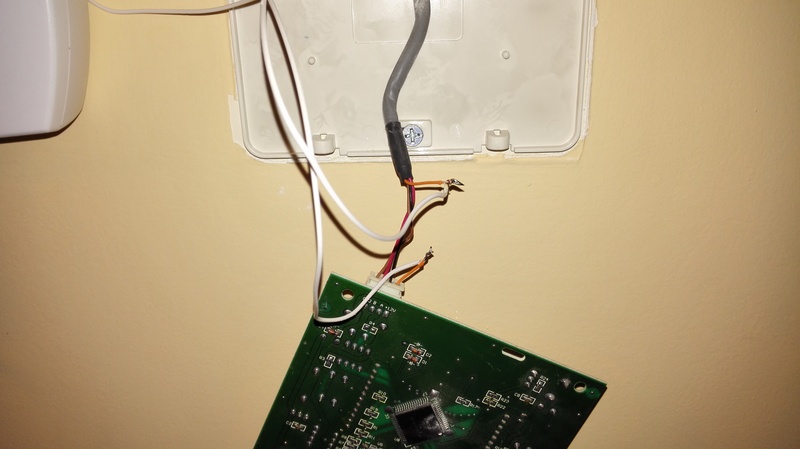 First step is to retire power supply and retire the thermostat from its base. In the right current air conditioning thermostat could be seen. 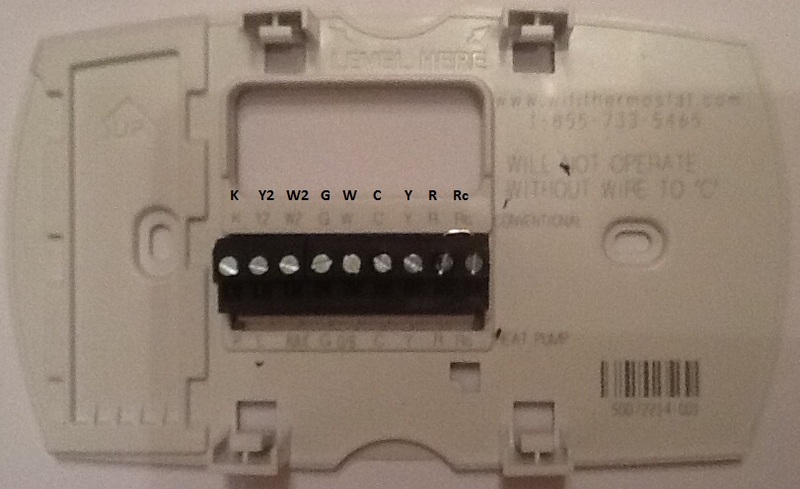 As shown in “american thermostat installation” post it is needed a relay managed by 24 volts supplied by RTH6580WF thermostat to activate/deactivate heating or cooling closing/opening a circuit. 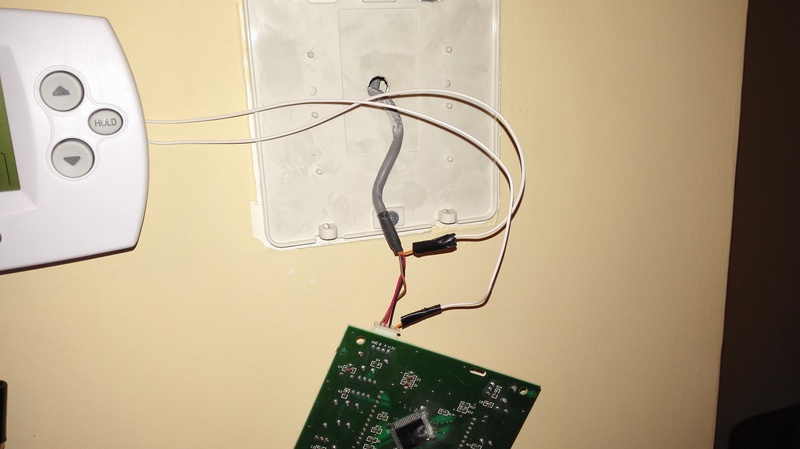 We will connect some cables used to connect the relay shown in the picture. 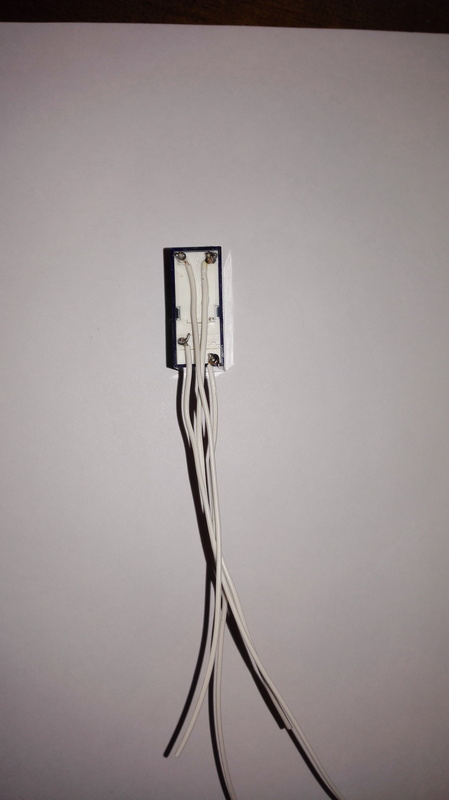 Shorter cables are for connecting relay coil and longer ones for closing air conditioning circuit. We could use screwdriver to retire a bit the base from the wall. 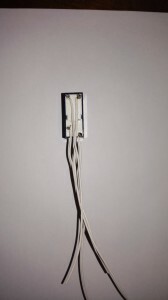 Shorter cables connect relay coil to connectors “C” and “Y”. Longer cables will be maintained unconnected in the right. We will use screwdriver to put screws in the final position and will put thermostat again in its base. 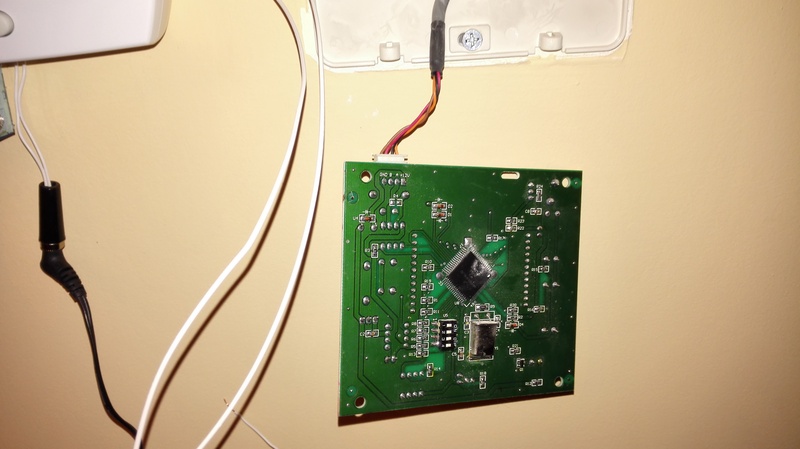 Next step is retire current air conditioning thermostat. There are four cables: First labelled as “GND”, two labelled as “A” and “B” use for communicating current thermostat and the main unit, and the last labelled as “+12V” use to supply it. 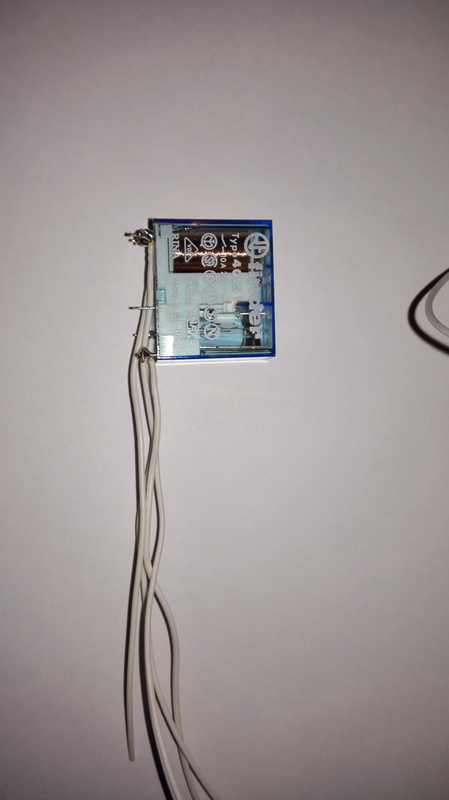 Method will be to pass the cable used to supply “+12v” through the relay. 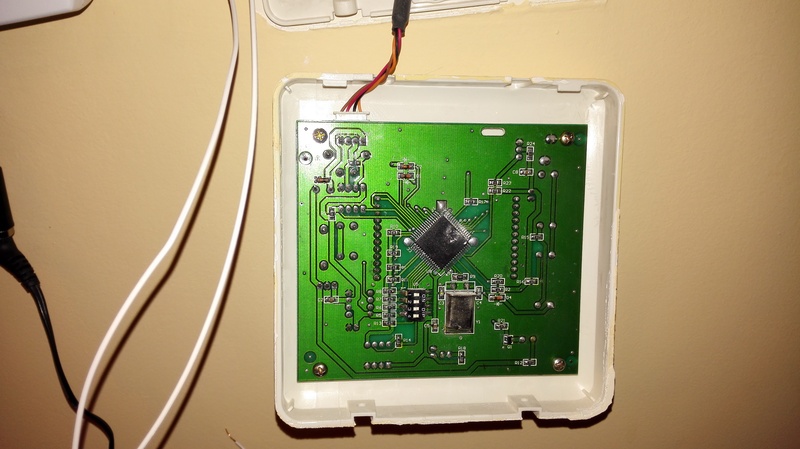 Relay will switch on and off current air conditioning thermostat. When switch on the current thermostat will maintain the selected temperature. 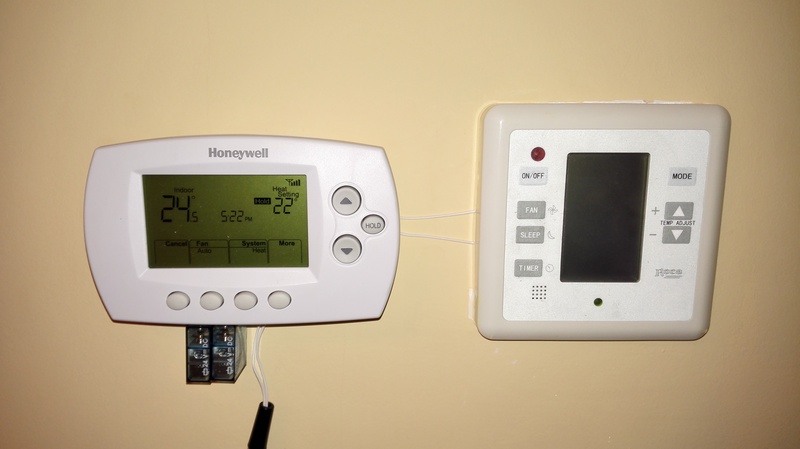 When switch off the main unit will stop several seconds after losing connection with its thermostat. 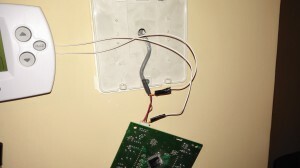 Once connected all should be mounted to the original position. 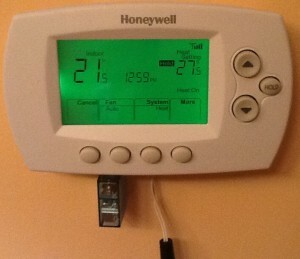 Event switched off the current thermostat remember previous selection. Temperature should be lower enough for activating cooling every time is switch on by RTH6580WF thermostat. We hope this post useful enough. Don’t hesitate to leave a post or answer if you need some help. 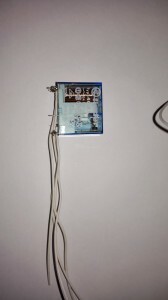 This entry was posted in Home automation, IoT, M2M and tagged Home Automation, HVAC, IoT, M2M, Smart, Thermostat, Wifi. Bookmark the permalink. Thanks for pulling this together! Hard to find this type of information lately. Not sure why. I do have several questions but want to re-read first before typing something really stupid. Appreciate it. How I charge my electric car? BitCoin – What’s going on last August 1st? And, when is 5G expected? 2G, 3G, 4G and now 5G – Are all necessary?